[Update] A new trailer has been made available a couple of hours ago, you can check it out below. [Original Story] The multiplayer focused shooter game Evolve, developed by Turtle Rock Studios, isn’t exactly one of the most popular games around. While the game featured some very interesting concepts, the huge amount of DLC packs made available after release and a variety of other critical issues soured the experience for many. In the attempt to bring back players that have abandoned the game, Turtle Rock Studios has revealed their next move, which is definitely a bold one. On the team’s official website, it’s been confirmed that Evolve will be made available for free later today on Steam as a Beta, with the team planning to release major Beta revisions over time to test new features and major changes. Here’s how it’s going to work: We’re going to make Evolve free on PC as a Beta starting on July 7. This is going to allow us to hit our new server infrastructure really hard and we need your help testing. Stuff could break, and that’s our hope, because that will give us time to improve things as we go. We’ll parse out major Beta revisions, updates and features over a period of weeks and months — a plan we’re going to continually communicate here. This allows us to test new features and major changes to make our game more accessible and ever closer to the joy we saw when we first showed our baby to the world. Just as importantly, this Beta plan gives us the flexibility and time we need to keep fixing bugs and making Evolve more stable. More has also been shared on what will happen for those who have purchased the game and Season Passes. Apparently, they will retain all the purchased content, receive Founder status in the new free to play version and additional rewards and special access down the line. Finally, it’s also been confirmed that a major overhaul is currently being planned, with the team working on maps and UI, performance, progression system and more. 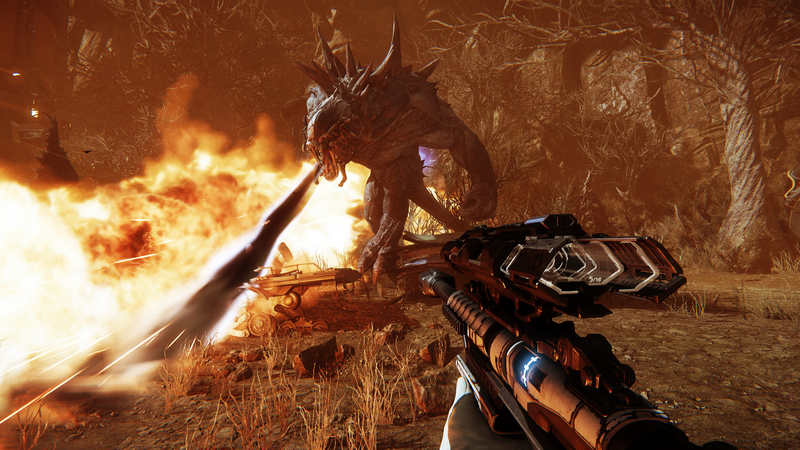 Evolve re-launches as a free to play game later today on Steam.